so, i can’t take full credit for this creation – it was a combined effort. mike made the excellent choice to use an apple raspberry* lambic instead of just a regular ol’ can of beer – a wise decision. he also got some apple chips, and we used a variation of gabe the grill master dreher’s rib rub. i did the rubbing; that was my contribution. 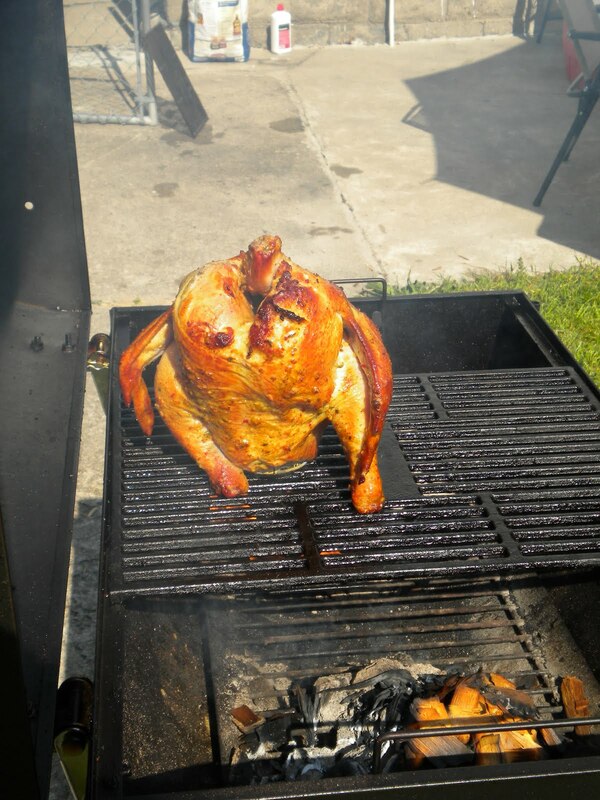 mike set up hank riley (our smoker grill – yes, we named him – thanks for asking) with coals on either side, removed one grill plate, and centered the other grill plate for easy access to add coals, and put the chicken in the middle so no rotating was necessary. this was the best chicken i have ever eaten. and i’ve eaten some good chicken! 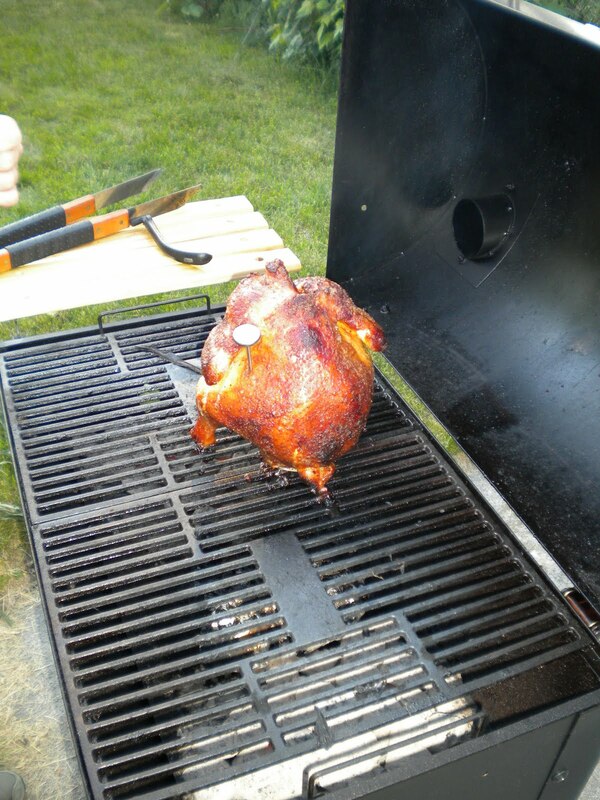 unfortunately, it was beer-can chicken #2 on a big night of grilling and folks weren’t starving by the time this one finished. the first chicken was awesome; the second chicken was finger-licking, unbelievably amazing. *turns out we thought we used the apple lambic – but used raspberry! mike went to drink the raspberry a week later and discovered the apple was in the fridge. either way, it was delicious! 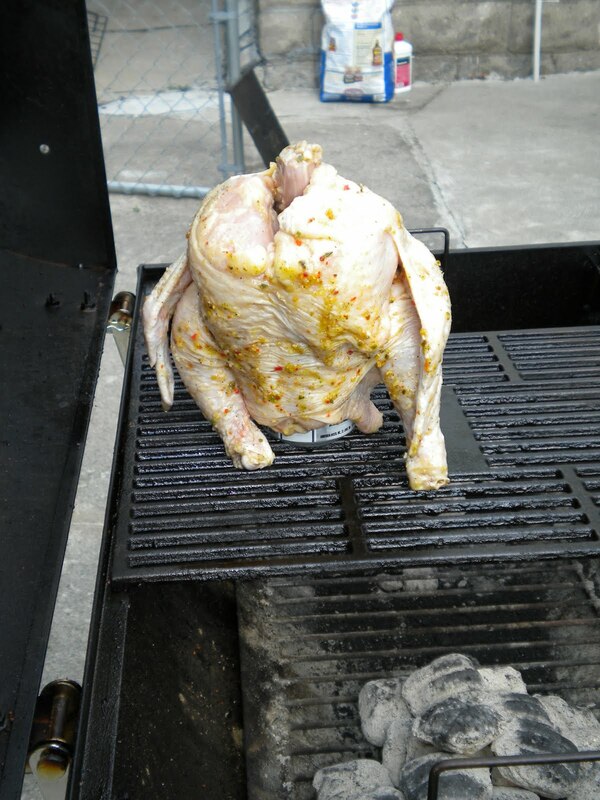 This entry was posted in Grilling and tagged beer can chicken, chicken, Grilling. Bookmark the permalink.